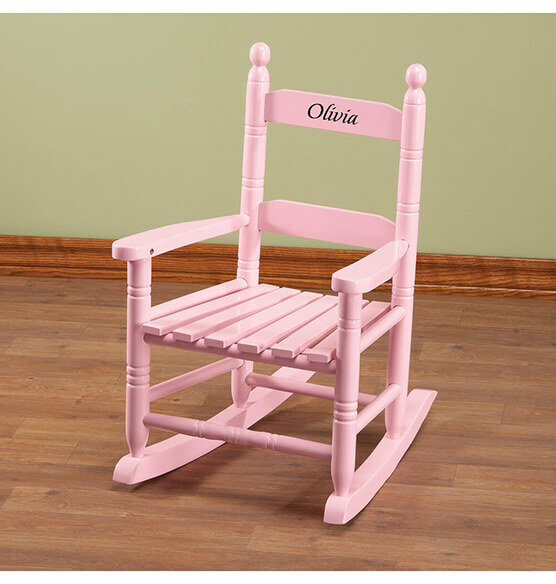 Decorate your child's room with this classic personalized Pink Kid's Rocker. 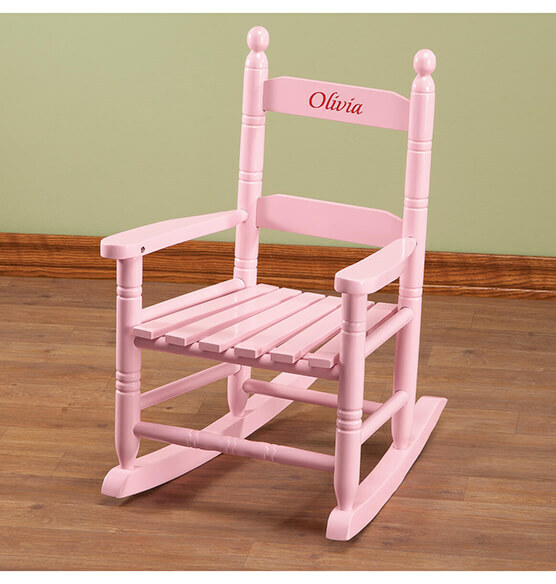 Crafted of durable hardwood, this kids rocking chair is painted in a soft pink shade. 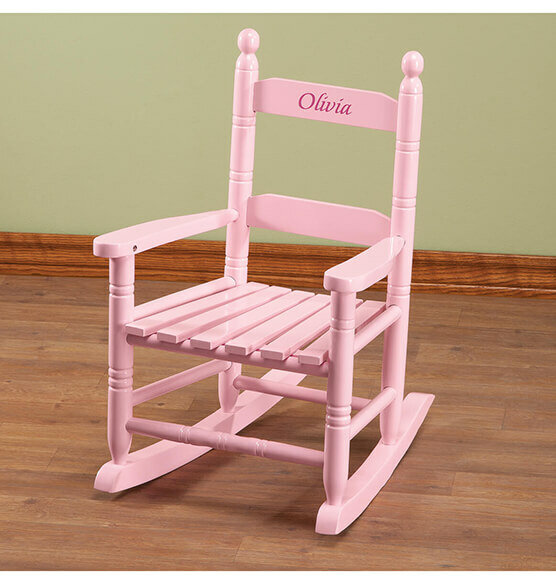 The slatted wood seat is the perfect size for a little princess, and you can customize the wooden rocking chair back with her name or title in blue, black, pink or red. Im getting ready to order another one of these chairs. I brought this beautiful chair for my grandbabies and they love the chair I look they taking turns sitting in it when they are not sitting in it they taking turns dragging it through the house i highly recommend this company to all my friends i love shopping with this company. Since I have to star it I will give it a one, but it does not deserve that. I received this as a gift my daughter was excited. Started to put the first chair together and it was warped but also cracked in multiple places. Called the company they replaced it with another warped chair. It was uneven, and the holes did not line up correctly. Between the two chairs I was able to piece together an ok rocker that she can use. I still have to figure out how to re drill a hole so that I can finish putting it together. Not worth the cost nor the aggravation. Will not be purchasing again.